This is a true confession of a cream snob…okay yes it is completely true, I am a cream snob. But in my defense it runs in the family. You will never find anything but the real deal at my house. Seriously though, have you ever tried to read the ingredients on an aerosol can of whipped cream? I can’t pronounce half of them and it really doesn’t taste even close to the real thing. 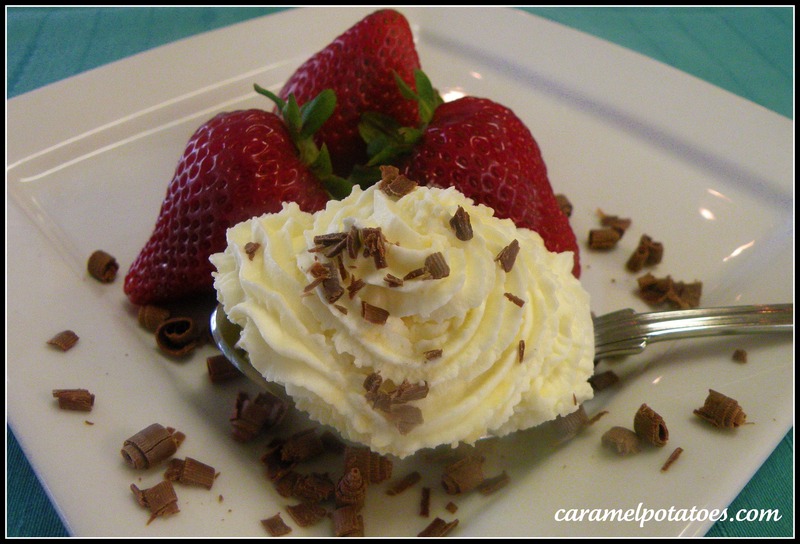 Making whipped cream is so easy and makes all the difference for your desserts. Or you if you prefer just take the bowl and a spoon and have at it. Trust me, you wouldn’t be the first. Pour cream into mixing bowl and start on a slow speed. As cream begins to thicken add sugar and vanilla. Slowly increase your speed to high. Mix 3-4 minutes for it to reach a stiff consistency; make sure to stop before it clumps. *This recipe makes 2 cups of whipped cream. Note: You may use more or less sugar depending on the desired level of sweetness needed.